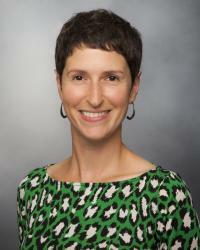 Julia Marcus, PhD, MPH is an Assistant Professor in the Department of Population Medicine at Harvard Medical School and Harvard Pilgrim Health Care Institute, and Adjunct Faculty at The Fenway Institute. Her primary interest is in the promotion of sexual health, with a focus on implementation of preexposure prophylaxis (PrEP) for HIV prevention. Her research has leveraged electronic health records to identify patients who may benefit from PrEP, characterize PrEP uptake and continuation, and document clinical outcomes among PrEP users in real-world healthcare settings. She also has a career development award (K01) from the National Institute of Allergy and Infectious Diseases to study the dissemination of highly effective hepatitis C treatment, with a focus on HIV/HCV-coinfected patients. Dr. Marcus received her doctoral degree in epidemiology from the University of California, Berkeley, and completed a postdoctoral fellowship at the Kaiser Permanente Division of Research.